What would happen if creatures evolved to camouflage themselves on human-made materials? That is a question I am constantly asking through my art, and this poker deck is one imagined answer. 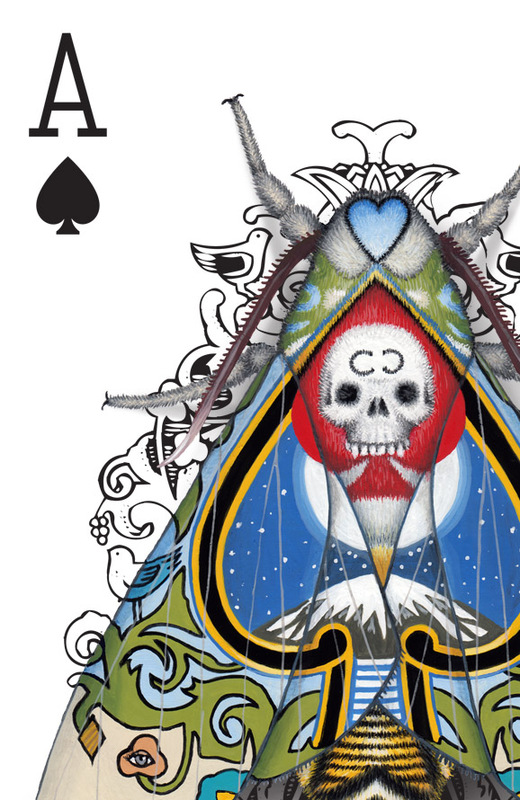 Cryptic Cards is a transformations deck, with every card face featuring a detailed hand painted design of cryptic moths. The deck, uncut sheet, art book, and artwork prints are available in my store.